I met Barbara Bush just once. She and her husband were passing me in a hall on their way from a private luncheon on their way to a campaign event. They both greeted me with a brief moment of graciousness while hustling down the corridor. My immediate impression of the moment was that the camera was not kind to Barbara Bush. She always seemed so much older than her tall, slender, chiseled husband. Yet, when seeing them side by side in person they looked much more “of an age.” George looked older, Barbara younger, thinner, with bright skin and an aura of vitality. She looked me in the eye, extended her hand and said, “Thank you for all of your work on the campaign.” She even waited for my response instead of the patented “come and go” handshake of the seasoned politician. It was October of 1992 and Washington University, in St. Louis, Missouri, had been selected as the site of the first debate between President George H. W. Bush and Gov. Bill Clinton. I had been a part of Bush’s White House Advance Staff for a year at that time. St. Louis area in 1968. Since I didn’t have money to give the party, I gave them time instead. Being a teacher, with summers off, I had the time and I didn’t mind doing grunt work. Over the years I went from looking up phone numbers, to office work, to the speaker’s bureau for the Reagan/Bush team and, finally an advance staff gofer. This is not glamorous work. It means you can pass a security clearance strong enough to get you proximity to the president and can add local knowledge to the White House’s team of workers. Again, I did everything from change toner cartridges in the copier to run copy to reporters. 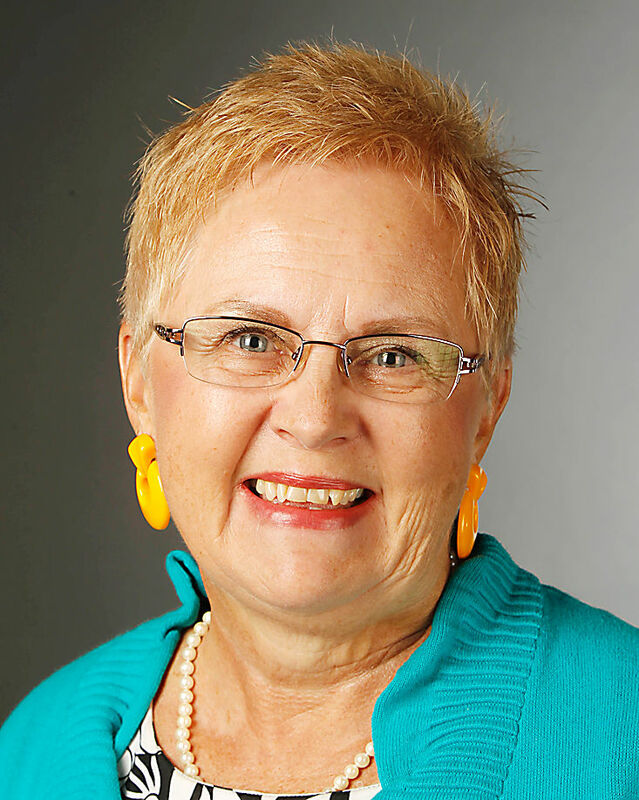 Louise Butler is a retired teacher, college professor and a published author who lives in McAllen and regularly writes for The Monitor’s Board of Contributors. First Lady Barbara Bush was liked (and occasionally feared) by everyone who knew her. She easily became the kind of woman about whom you wanted to know more. She glowed with strength. She was decisive in every movement. Her laughter was easy but her humor was wicked. Everything I learned made me like her more. Her children say that in their home, she was the law and their dad was the fun. In the White House she ran a tight ship. Things simply were going to get done, on time, and in the proper way. Seeing to that was her job. A rude columnist once described Barbara Bush as her husband’s Dorian Gray. This rather snarky comparison spoke to the fact that her lined face showed the passage of time, but her husband’s did not. This is demonstrative of the double standard that women carry into public life. Body shaming of women has always been an easy get, and God forbid a woman commit the sin (venial, not mortal, but a sin just the same) of being in the public eye and not being attractive. A man whose face is lined with age is said to show character; a woman’s just shows age. Outside of wearing pearls to “hide the wrinkles,” Barbara Bush simply didn’t seem to mind. Add to her insouciance about her looks, the fact that Barbara Pierce Bush unabashedly adopted the proscribed life of a 1950s wife and you have a profile that doesn’t fit the modern mold. She married the first man she ever kissed (and laughed about the fact that the story made her children sick). She became a home-maker who moved 11 times in the first six years of her married life as her husband started an oil business. Born to some wealth and good blood lines she lived in a spartan row house in Midland, while her husband was a wildcatter. She also faced the worst that life can throw at a parent. The Bush’s second child, Robin, succumbed to leukemia at the age of three in 1953. During the seven months from diagnosis to death, Barbara Bush held on with a core of steel. She decreed that no one was allowed to cry in the child’s presence. Robin would see no sad faces. She stayed at her child’s side while George came and went as business dictated. The final choice to try a desperate and chancy surgery was made by her alone because her husband was in the air, on his way to a make-or-break business meeting. Robin never came out of that surgery. Barbara later said that while many families don’t survive the death of a child, she and George simply would not let each other go. 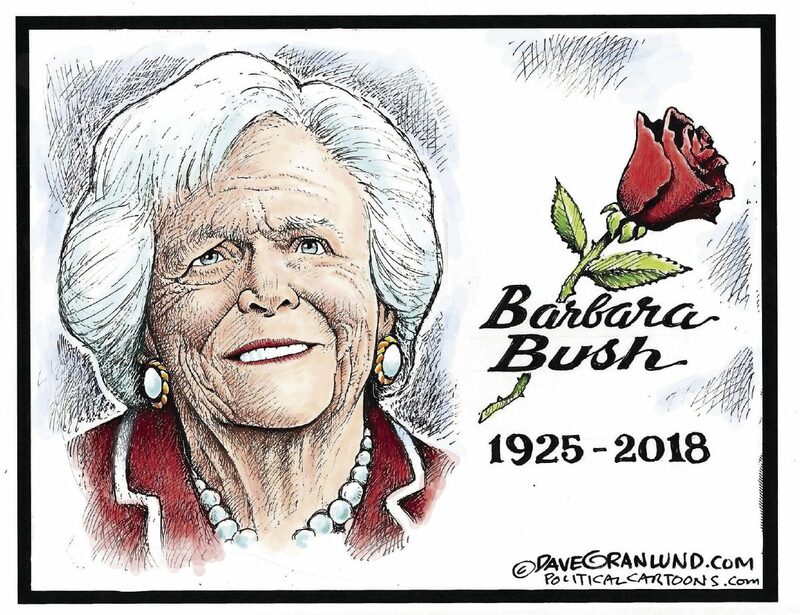 As we contemplate her Tuesday death at age 92, many modern women would look at Barbara Bush’s life and say that it is not the life they would choose. Barbara would look at the life modern women choose and likely say: “Good for you.” She made her choice to be a wife, mother and political helpmate. She then did each with fierce intensity. Her tools of choice were humor, slice-it-to-the-bone frankness, tough love and a rigorous sense of duty. She became a first lady that friends loved, foes feared, the world respected, and the nation admired. She was also the one thing all women should be — comfortable inside her own skin. We could use more women like her.